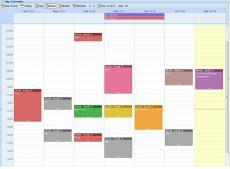 An overview of the calendar features can be found here. A5 JQCalendar - without Xbasic source code. A5 JQCalendar Full - version with Xbasic source code. Two versions of the installer are available. The full version includes Xbasic source code. The features page has additional information. You will need a license key to install. The key can be purchased at the IADN web site with the links below. Custom Component for Alpha Five™ Web Based Applications. April 1, 2016 With Alpha Anywhere's 4.0 release you must use version 4.541 or greater of the calendar. Committed to the pursuit of excellence in quality, service and value. System Requirements: Alpha Anywhere Version 12 or above.